The original rationale for legal payment of “sub-minimum” wages to certain disabled workers was that a subset of “severely” disabled people are not capable of doing work that would ordinarily be valuable enough to justify regular wages. That’s one of the most frequent arguments you hear in defense of the practice to this day. But business DO pay market prices, (give or take), for what these workers produce in sheltered workshops and similar disabled-only enterprises. So if their collective product is good enough to sell, doesn’t that justify paying all the disabled workers who contributed to making the product or service at least Minimum Wage? Obviously, this assumes a kind of collective earning of wages that isn’t the way we do things in the US, or in most modern economies. We pay each individual based on their individual jobs and quality of work, (in theory if not always perfectly in practice), not on how well the business as a whole performs. But then we’re already doing something different with a class of disabled people … paying them less than Minimum Wage. Why not address their supposed impairments by paying each person a proper wage for whatever work they contribute to a saleable product? I should also note that this argument only works for people who really do want the best for disabled people, but lack the language or imagination to envision anything better than sub-minimum wage and sheltered workshops. People who positively like, support, and profit from these models because they make cheap labor legal ... are beyond persuasion. I'm not sure what to think about the budget shortfall and planned scale-backs of the Paralympic Games in Rio. It seems like an outgrowth of corruption problems in Brazil. Actually, it might be more accurate to say that the Paralympics are going to suffer as a side effect of some possibly just and noble efforts within Brazil to crack down on corruption. I want the Paralympics to be fully funded, but I'm not sure it would be good for Brazil if this happens through personal intervention from Mayors and Interim Presidents who are themselves under scrutiny for corruption. At any rate, the pros and cons of that are up to Brazilians. More importantly, all this is only to address a funding shortfall that seems to have been caused by poor ticket sales. Is this the same shortfall we've seen in just about every Olympic event in Rio so far, held in quarter-to-half empty venues? Or, is it worse because even fewer people want to buy tickets to see Paralympic events? If that's the case, why exactly? Is it the obvious answer ... that non-disabled people generally don't think of Paralympics sports as "real" in the way Olympic Track & Field and Swimming are? If that’s the case, I’ve got to wonder after watching BMX racing, golf, and ping-pong presented as “regular” Olympic sports. Are Paralympics considered "lesser" events? How well do most people even understand what the Paralympics are? I am an active part of the disability community, but last time I wrote about the Paralympics I got comments that showed me how little actually I knew about them. We'll see how the events actually play out next month. Maybe it will be really cool. Maybe the publicity about budget shortfalls and cutbacks will raise interest in the Paralympics. Maybe some private benefactors will step up at the last minute. In the meantime, it seems like the main takeaway is that once again, when things get hard and choices have to be made, the disability-related thing is left with the fuzzy end of the lollipop. Maybe a merger IS the answer. @ChaiKovsky @curlywurlygirly I wonder if this is a sign that the Paralympics should be merged into the Olympics. This idea just keeps getting more credible and attractive, especially for disabled people. I would suggest something more like $1,500 - $1,800 per month, along with free health insurance that covers any needed medications, equipment, and home care. This would be regardless of past or current employment status, income, or savings. As some peoples' income got higher, of course, more and more of it would be paid back in income taxes, but there would be no formal time or dollar amount cutoff. It’s hard to be objective about this, but it really does sound both practical and ethically sound. Maybe we should think about getting a detailed proposal like this put together in time for the 2020 elections. On the other hand … does it make sense to talk about raising benefits when drastically cutting them is entirely on the table? I am relieved that UK-style austerity hasn’t really been much of an issue in the U.S. elections, especially in the disability sphere. It could still come up of course. I could see Donald Trump scapegoating “scroungers” and people with “fake” disabilities. But I think it’s just as likely he will at some point support the vague idea of an increase in benefits for disabled people, without any details at all. As long as he gets to define who he counts as disabled … the good, sympathetic, hard-working disabled, not the weirdos and activists … I think Trump would find it rather easy to promise some goodies to make up for his mocking incident. I’m not saying it's likely, and I wouldn't bet on it, but it could happen. Poverty is hard, time consuming work, and being poor does not make one more attractive to employers. Employers usually prefer to hire people with stable, secure personal lives, including stable finances. Hiring a poor person or someone teetering on the edge of poverty is risky for employers, even before taking disability into account. For most disabled people themselves, work itself is risky. There are tremendous benefits to be had from work, both emotional and material, but it's risky. You risk failure. You risk upsetting the balance of your health, either physical, or emotional, or both. Even if you plan and calculate meticulously, you risk finding yourself worse off financially than before you tried to work. You risk finding out there really are hard limits on what you can do with the body and mind that you have. You risk confusing people about whether you are, in fact, “disabled” and what that actually means. That's another reason disability-related benefits like Social Security Disability and SSI shouldn't be viewed as something people get because they can't work, but rather as a secure base on which to build or rebuild a life of work. Benefits should back up your effort to work, not disappear as soon as you achieve stable, satisfying employment. This should all be common sense. It’s not though, and that’s one of the persistent barriers to employment for people with disabilities. It also complicates most efforts to “reform” disability-related benefits. 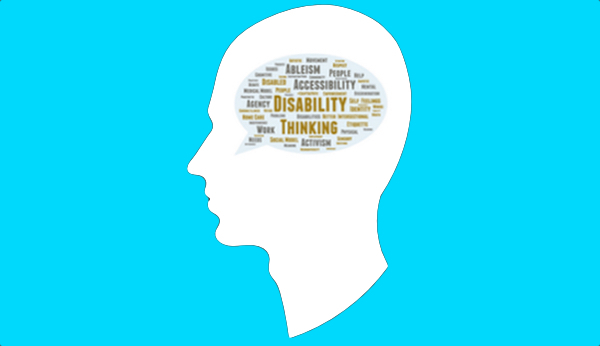 One year ago in Disability Thinking: "Advocacy Or Fundraising ... Demanding Or Asking?" I still think a lot about why, when faced with systemic barriers, some disabled people seem to turn naturally to advocacy, while others turn just as automatically to a more personal, charity approach. Certainly some situations call for one or the other approach, but I do think a lot of it has to do with personal temprement. I also think we have to remember that in general, there are more immediate social rewards for disabled people who articulate their needs in more personal terms, and "ask" for help. The most effective and famous activists get praise too, at least within the activist community, but on the local level, disabled people who assert their rights instead of asking for favors tend to be viewed as cranks, malcontents, and troublemakers. Two years ago in Disability Thinking: "Albany Protest Update"
The ADAPT protests in Albany worked out for the best, in the end, but home care rules and funding tend to be a flashpoints every year about this time ... here in New York State at least. Right now, home care and independent living activists are trying to get the NYS Legislature to add enough funding in this year's budget to meet the new, higher minimum wage for home care workers. It's important that they do so, for the home care workers of course, who need and deserve a living wage ... but also for the disabled people they serve, who will lose hours of care if the budget isn't increased. The fight never ends, but it's a good fight, for exactly the type of care disabled people actually want. Three years ago in Disability Thinking: "Money, That's What I Want"
Then again, it's always good to remember that the best, most adaptable disability program possible is probably cash. We can buy literally any service, device, or assistance we might possibly need, and dollar bills never try to tell us what we need and what is or isn't good for us. One year ago in Disability Thinking: “Wanted: Finance Guru For The Disabled"
I still haven’t seen anyone offering practical, workable financial advice for disabled people. I’m probably reading the wrong sort of blogs. Most of what I find on the subject is about the evils of work disincentives, workplace discrimination, and the Social Security marriage penalty. One problem is that individual financial and frugality advice is often used to avoid these bigger issues, and to shame disabled people for not being savvy enough with money. The thing is, some of us may be looking for this kind of advice from an accurate, non-judgmental source. Two years ago in Disability Thinking: “'Growing Up Fisher' Followup And A TV Idea"
I’m also still waiting for a great TV show about people trying to get out of a nursing home. I was thinking today about the idea of a Universal Basic Income. The idea is that everyone would automatically get a fixed amount of money to live on from the government. The amount would be set so as to be just enough for a person to live on ... to pay for food, shelter, clothing, and maybe for transportation, education, and health care, unless those were available through a separate government benefit. Everyone would start out with enough to live on. If they wanted to live more luxuriously, if they wanted to buy more cool stuff, or travel, or pursue some bigger goals, they would work to make money above their Universal Basic Income. This is an economic policy idea that seems far-fetched, but has theoretical support from both liberal and conservative economists. It's also being tested in a few places ... small parts of countries, states, cities, etc. The biggest technical question is whether a Universal Basic Income would cause people to stop working, and thereby reduce productivity and the tax base needed to pay for the benefit. The most attractive thing about the idea is that you could eliminate almost all other social services that are currently designed to help only certain people, or that try to help poor people in less direct ways. A Universal Basic Income would also be really easy to run. All you need is an infrastructure to write a bunch of checks, or make a bunch of direct deposits. There's no need for bureaucracy to determine complicated eligibility or root out fraud and abuse, because everyone is eligible. How would Universal Basic Income work for disabled people? First, it could remove one of the most consistently annoying and harmful barriers we face ... having to qualify for assistance and maintain eligibility. The work disincentive would be GONE, and we would never have to prove our eligibility for services again. On the other hand, would disabled people need a higher Universal Basic Income than everyone else, to meet our higher living expenses? Would giving us more violate an important aspect of the idea's appeal ... its universality? Second, it would be an experiment in radical choice, something disabled people are often more attuned to than most people. With most traditional human service models erased, we would be free to use or money to purchase whatever we felt we'd need ... with or without counseling that purports to make us better, smarter, more motivated people in some way. Again, we come back to how much money we would have. If the amount was too small to meet our higher cost needs, the lack of additional support could end up being terrible. Maybe we should be thinking about a Universal Basic Income just for disabled people. It would be something like SSDI or SSI with eligbility based only on disability, not at all on income or employment status. I can forsee an escalating number of checkpoints and bureaucratic layers developing over time, but something like this idea seems worth exploring. I tried in that post to be fairly neutral on what kind of disability work is most valuable, and instead focused on effectiveness and simply being aware of what kind of disability-related goals you want to support. In other words, I didn’t really make any value judgments. Today I’m going to go ahead and talk about what kinds of disability work I value, and why. There are four main kinds of non-profit disability work I will list them in order of my personal preference. - Helping disabled individuals fight discrimination, improve physical accessibility, and navigate bureaucratic barriers. - Shaping all kinds of policies, regulations, and laws in ways that expand opportunities and make life better for disabled people. Advocacy and Policy are my top priorities. I believe that most of the problems disabled people face are systemic rather than personal, and that making better policies and practices regarding disabled people does the most long-term good for the most people. It also happens to fit my personality, which is unsentimental and analytical, so I just "like" advocacy and policy wonkery more! - Helping disabled people solve everyday problems directly and indirectly related to their disabilities. - Providing disabled people with the financial support, technology, and direct personal assistance to achieve and maintain their independence. Services and support address individual needs, especially when they are tailored to each person's situation and directed as much as possible by the person using the service. I feel it is important to support these services because individuals should not have to wait for that perfect accessible world in order to enjoy independence and fulfillment. I'm not into fancy, elaborate programs, and I'm dead set against segregated, sheltered ones. But certain basic services, like income support and home care, are massively valuable. - Informing people about disability issues and the experience of living with disabilities. - Increasing social acceptance and reducing prejudice against disabled people. Although social acceptance is important, and being treated cruelly because of your disability is terrible, I am skeptical about the effectiveness of most kinds of "disability awareness" campaigns. For one thing, I'm never quite sure what, exactly, people mean by "awareness." Disability awareness campaigns also tend to be rather simplistic, setting too low a bar for what it expects from people. - Learning more about specific medical conditions that produce disabilities. - Developing therapies and cures that might lessen or cure disabilities. I value all kinds of scientific research, and in some cases, better therapies and treatments can improve disabled peoples' everyday lives. Too often, though, the search for a "cure" seems like a boondoggle. The rhetoric for these campaigns is often so negative about disability itself that they actually make it harder for us to achieve social acceptance. Basic research should be funded objectively, not based on who has the saddest stories, the cutest poster child, or the slickest marketing team. There are few more important principles of the disability community than: “Nothing about us without us.” Whenever possible, support disability organizations led by disabled people, with disabled on their boards, and disabled people in upper management and on service-providing staff. If nothing else, you should seriously question the commitment and relevance of a disability organization that resists or downplays inclusion of disabled people in leadership roles. There’s probably going to be some kind of engineered showdown over funding Social Security Disability here in the United States. Disability activists are going to be pulled in a few different directions. Should we join the effort to “reform” the program and risk validating benefit cuts and narrowing eligibility? Or, should we line up to defend the program as it is, and miss the opportunity to reduce work disincentives and make other improvements we’d actually like to see? "One thing the welfare bill accomplishes is to put people who have failed a fitness to work test on to the same payment as people who have passed it, like some tent-revivalist preacher tipping sinners out of wheelchairs and screaming “Walk!” Who would have thought that electing people who hate the welfare state to run our welfare state could go so badly? In practical terms this change means people with things such as MS and Parkinson’s will lose £30 a week. That extra £30 a week was there because, sometimes, chronically ill people’s bodies don’t work so well and they might have to get a bus or a cab or pay the babysitter to stay for an extra hour so they can get to and from the latest humiliation from the Department for Work and Pensions." This is from an angry article in The Guardian about the Labour Party, the UK’s main left-of-center party that historically has fought for the welfare state and defended the UK’s poor and working class. It’s roughly … and I mean very roughly … equivalent to the US’s Democratic Party. Yet, apparently they are pretty much going along with the Conservative Government’s austerity policies, which include a two-faced stance on disability policy. Publicly, they use the language of empowerment and confidence in disabled peoples’ ability to work and be self-sufficient, while policy-wise they cut benefits and make everyone who gets benefits prove to poorly-trained bureaucrats that they really do need their government support. Meanwhile, they nudge and wink and tisk-tisk about “welfare scroungers." It sounds familiar. The same kind of thing could easily happen here, if we aren’t very careful. By the way, £30 a week, £120 per month, is equivalent to almost almost $47 per week, $187 per month. That's more than the cost of a few lattes.